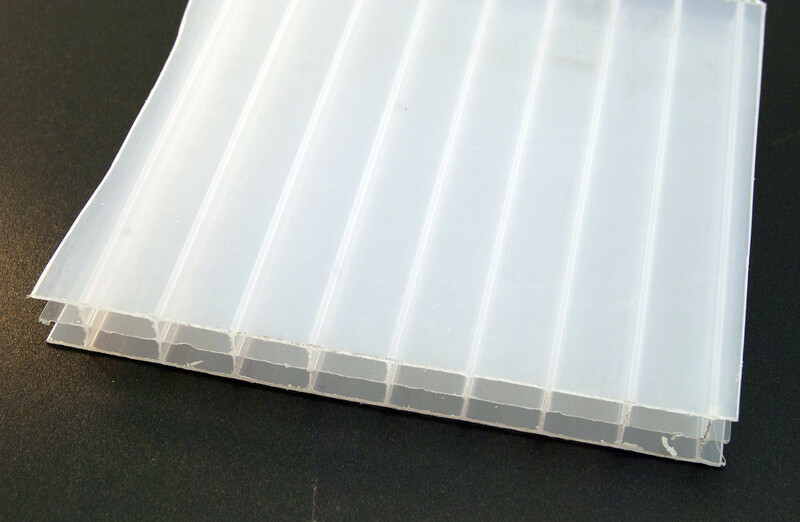 16mm triple-wall polycarbonate is ideal for enclosed carports, lean tos and conservatories. This has a better insulation value than the 10mm twin-wall. The longest sheet we can supply is 6 metres long and 2.1 metres wide. 16mm triple-wall is available in clear, opal and bronze tints. Please call us if you require any other information or a quote for all that you would need.